Little Wenlock is the second highest village in Shropshire, at 730 feet. 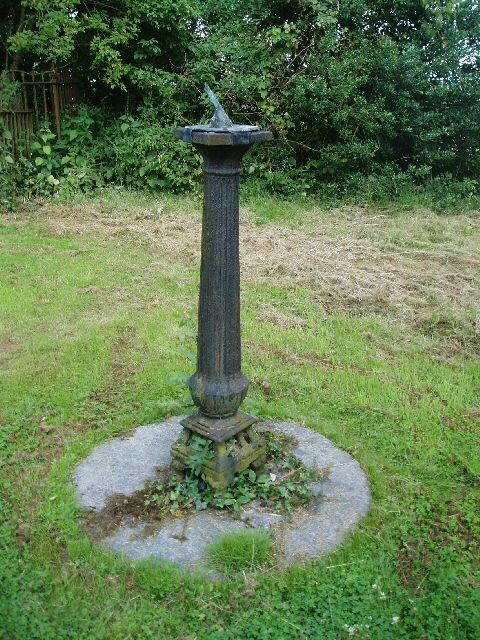 The dialplate in the churchyard is not very interesting but its pedestal is. Cast-iron, it was made by the well-known Coalbrookdale Company in the 19th century. Coalbrookdale is only 2 miles from the village of Little Wenlock.